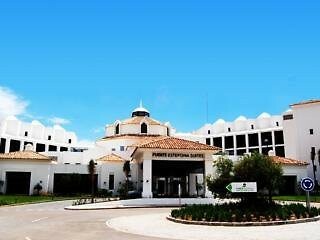 Fuerte Estepona is a four-star beachfront hotel situated in Estepona and conveniently located near to Estepona Golf and Cristo Beach. 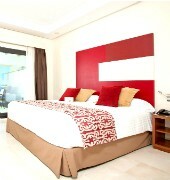 Accommodations are bright and spacious and some have balcony from which view of the sea can be enjoyed. Each guest room comes with air conditioning, satellite TV, telephone, safe, mini bar, internet access and private bathroom with hair dryer. 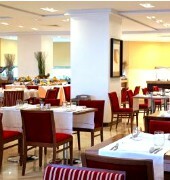 Buffet breakfast and casual meal are served in the on-site restaurant serving traditional Mediterranean cuisine. Guests can also enjoy the wide variety of cocktails, snacks and coffee dished up in the lounge bar/pool side bar with live music performance offered. Leisure facilities include an outdoor pool, kid’s pool as well as a spa center offering variety of massages and treatments. 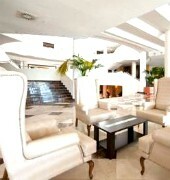 The hotel provides an excursion, bicycle rental and workshops for making Sangria drink and Gazpacho dish. 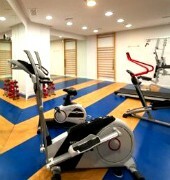 A club featuring recreational, sporting and cultural activities for kids and adults is also available.